Aside from the mandatory silver half-shekel that each Jew had to contribute towards building the Tabernacle (Mishkan), which was used to construct its beam-supporting sockets, they were also invited donate other types of building materials such as gold, leather, and high-quality wool and fabric. The tribal princes—the wealthiest of the generation—had a proposition. “You collect whatever you can,” they told Moshe, “we will fill in the gap.” Let everyone donate what they like, and they would supply everything else. R’ Chaim Vital zt”l (Eitz Chaim) explains that Hashem told Moshe there are two types of givers: Those who give generously without prodding, and those who need to be coerced. Take an offering—refers to those from whom the offering needs to be taken due to their lack of generosity. Everyone whose heart motivates him—refers to those who give on their own. In the end, though, no coercion was needed. Every man and woman whose heart motivated them…brought a free-willed offering to Hashem! Despite the princes’ generous offer, there was no ‘difference’ to make up. The only thing left for them to bring was the Shoham Stones which rested on the Kohen Gadol’s shoulder straps. It was a generous offer that in the end amounted to nothing, and the princes are criticized for it. Nesi’im, the Hebrew word for princes, is written here deficiently, without one of its two yud’s. Yet when we consider their offer, we might still question why they were criticized. After all, they had no way of knowing that the tribes would donate so generously, leaving nothing for them to give. And their offer, by all measures, was extremely generous. Imagine you’re a fundraiser for a yeshiva, and you approach a wealthy man, describing in vivid detail how far behind you are in paying the teachers’ salaries, the need for new desks, etc. “All together,” he asks, “what’s your yearly budget?” Deducting tuition, you quote him a figure. “Go and raise as much as you can… Make a dinner, canvass all the wealthy in the city, do a Superdraw… and (at this point he reaches into his suit pocket and takes out a fancy cheque book, and signs the cheque, leaving the amount blank) whatever remains, just fill it in!” It’s every executive-director’s dream- come-true! Lest we think the omission of a letter from their title is some small, insignificant fact, let us recall that Ephron, who “says much and does nothing at all” (see Bereishis/Genesis 23:16 and Rashi there) is also stricken with a missing name-letter! Perhaps they should have given something immediately, and not have risked being left with nothing to give. Perhaps they should have had a little more foresight—but how does the harsh criticism suit the seemingly minor crime? The most powerful motivational phrase, it is said, is the simple, “I know you can do it!” There’s nothing that makes us feel responsibility, and take that responsibility more seriously, than the notion that others are relying on us. This little tidbit, by the way, is a great tool in the hands of the wise parent and master educator. When we nudge and belittle our charges, we make them feel incapable (and foolish). “Remember—take your fingers away from the socket before you plug in the iron!” And of course the more foolish we make them feel, the more foolish they are likely to act. On the other hand, when we show them we believe in them, and we have no qualms about entrusting them with even daunting responsibility, they ‘rise to the task,’ and function at a level of responsibility far beyond what we might of expected (and in truth, beyond what they themselves thought they were capable of). Research has shown that in companies where the employees are given responsibility for some level of decision-making (within their position), they tend to contribute at a level far greater than employees who are watched like hawks by their superiors. Show a person you have confidence in them, and they will do their best to prove you right. Show someone you have no confidence in them—and they’ll prove you right too! Perhaps this, says the Mayan Ha-shavua, was the fault of the princes. “Let the people bring their donations first—and whatever they don’t come up with, we will.” Their promise contains an implicit lack of confidence in the members of their tribes. Why would they assume that the people, having been told by Moshe the great importance the Almighty placed on the building of the Mishkan—that the Holy One, Blessed is He, wishes to dwell among us, as it were—how could they even entertain the thought that the people would come up short? As leaders of their tribes, there should have been no doubt in their minds that their charges would never fall short when dealing with such a monumental task. And as leaders, this confidence should have been clear to everyone. Instead, their promise to Moshe casts doubts on everyone else’s spirit of generosity—an unacceptable flaw in the message they communicate to the people they’re supposed to be leading and motivating. This is why, he explains, the deficient letter is not missing from their personal names, but rather from the word nesi’im—princes or leaders. It was a fault in their leadership to express doubt in the abilities of their charges, and it is in the word that identifies them as leaders that the deficiency is found. Aside from strengthening our faith, these verses serve another purpose. Hashem, so to speak, is Avinu She-bashamayim, our Father in Heaven. When we think, speak, and act as if we can do things on our own and ‘take care of ourselves,’ Hashem, to the extent we can express it, treats us in a like manner. He allows us to ‘take care of things,’ and suffer the consequences of human short-sightedness and error. 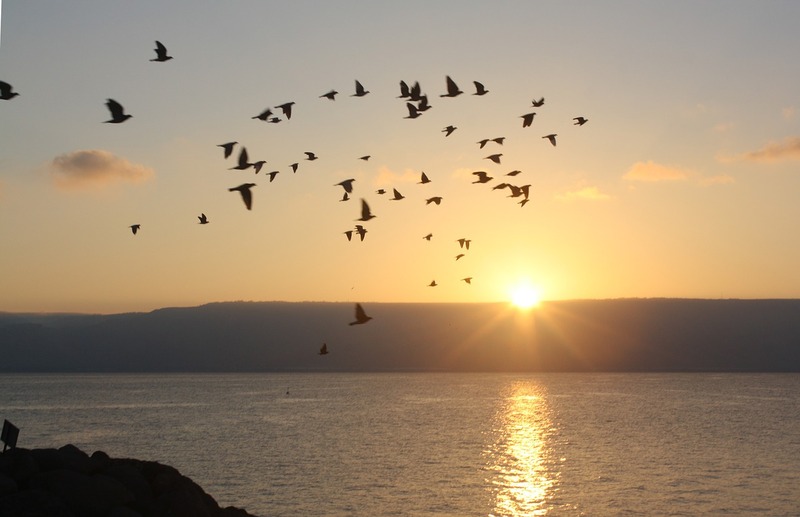 But when we say to Hashem, “We have no one to rely on but You—our Father in Heaven,” (and we mean it), Hashem responds by giving us an extra measure of Siyata di-Shemaya (Heavenly assistance). Not to say that, G-d forbid, Hashem needs the ‘motivation’ of knowing we rely in Him and believe in Him, but when our Father sees that we place all our hopes, aspirations, and lives in His hands, His love for us is aroused, and He treats us with the love and care of a father to his son.